Great interview of Ana Spoke. I need a good laugh – so I cannot wait to read her book: Shizzle, Inc. 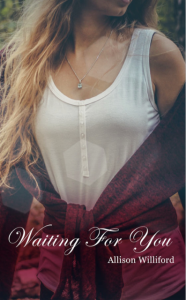 Waiting for You is now available! Congrats Allison! Best of luck!! Video review on Silenced Memories 🙂 Krystol offers a lot of great video book reviews & is a great author herself- be sure to check out her books!